The Government will be investing about $300m-$400m for the Nadi Flood Control project to reduce future flooding risks. This is in partnership with the Government of Japan, Japan International Cooperation Agency (JICA) and the Asian Development Bank. Project C – Watershed Management. Yesterday, the Ministry of Waterways and Environment and Yachiyo Engineering Company from Japan signed a memorandum of understanding for the additional survey for Project A. Acting Prime Minister and Attorney-General Aiyaz Sayed-Khaiyum said the Government had allocated $2.5m under Head 50 for the additional survey of the project in the 2018/2019 National Budget which would be utilised to finance the next phase of assessment. He added that the overall cost for Project A alone was approximately $46.9m and Project B would cost approximately $84.4m. The survey would take approximately nine months before the works begin. 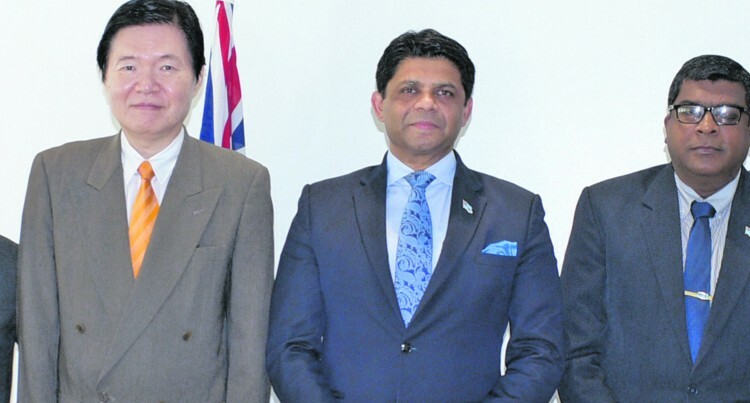 The Japanese government provided technical assistance in 2014 to conduct a feasibility study for the Nadi River basin area. The study was completed in July 2016. Mr Sayed-Khaiyum said the study proposed several flood control measures that would help mitigate the effects of future floods in Nadi River basin. It identified six major components that needed to be implemented in order to reduce the future flooding risks. Rebuilding of four bridges, reconstructing of three existing bridges and one new bridge. Mr Sayed-Khaiyum added that further meetings would be conducted for the discussion of collaboration and co-financing arrangements for Project B and Project C.
The MOU signing was held at the Ro Lalabalavu House.